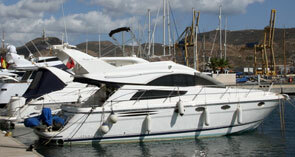 After a stay of over five months, Yacht Port Cartagena applies the discount rate “long stay” for all the yachts. This is certainly an opportunity that any owner of an yacht should seriously consider. But what would you say if the offer included to have your yacht in a marina which has been recently built and is situated in a legendary city and additionally is only a few minutes walk from the historic center? What if the port had all the necessary infrastructure for any kind of repair or restoration for a significantly lower price than charged in any other Mediterranean port? Finally, what if the marina team was a group of highly qualified staff specialized in management and with years of experience behind willing to make your stay in the harbour a daily pleasure? For a very competitive price, owners can moor their boats in one of the most modern, best located and equipped marinas in the Mediterranean. 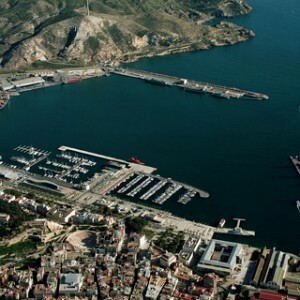 Yacht Port Cartagena is a port which is especially designed for berthing megayachts up to 140 meters length. Vessels from all over the world arrive at this international marina. Herein lies the unique offer which has been presented by the team of Yacht Port Cartagena, a marina will always receive you with open arms.